Akshay Chougule, a biologist working with large data sets, wrote a blog post about Useful Unix commands for exploring data, showing ways to “query” comma-delimited plain text data sets with common shell commands. We thought it’d be interesting to do a similar article using ReQL in the Data Explorer, showing how it can be used for ad hoc queries. Since it’s available online, you can import our sample data set just by creating a table and importing it with http. Just execute these commands directly in the Data Explorer. The Data Explorer will return information about the inserted rows. The table created has six fields: an automatically generated primary key (id), rank (the IMDb rank, 1–250), rating (on a 1–10 scale), title, votes, and year. You might have caught that there were 253 documents inserted, not 250. Either we have the top 253 movies, or there are a few duplicate records lurking in there. We can use distinct to get a count of unique rows, but we need to remove the id column from the query, since all ID values are unique. To get the list without duplicates, we can simply leave off count. return r.expr([1, 2, 6, r.table('moviesUnique').max('rank')('rank')]). 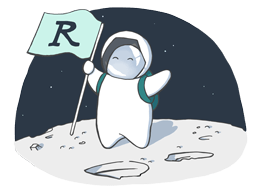 You can read more about ReQL in the Introduction to ReQL article, or go into greater depth with the API documentation.